The cells in which, the nucleus is not surrounded by nuclear membrane. The DNA is in the form of a nuclear body. The photosynthetic pigments are organized in membranous sacs, the thylakoids. The mitochondria, Golgi complex, and endoplasmic reticulum are absent. The cell wall is formed of a lipo-proteinaceous complex. 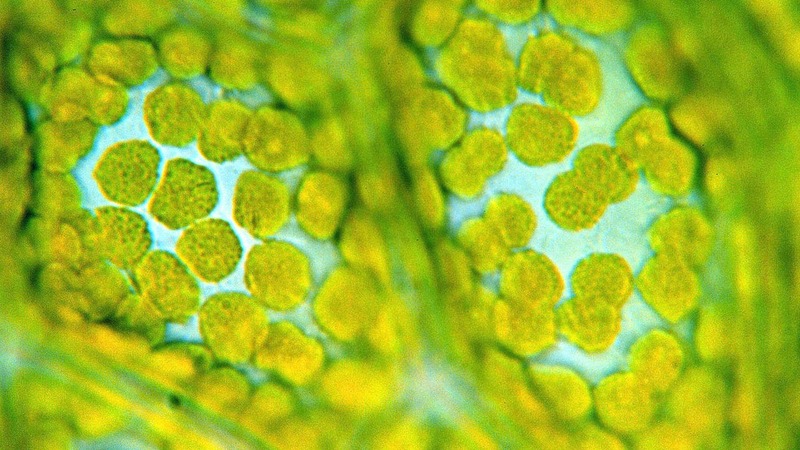 These cells are characteristics of Cyanophyta (blue-green algae). The cells that contain a well-organized nucleus. The cytoplasm is bounded by plasma membrane. 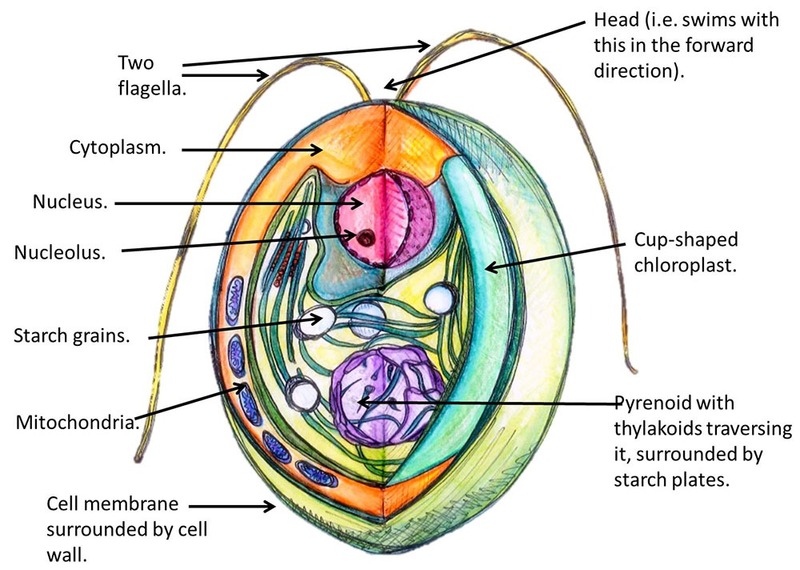 The nucleus is spherical or ellipsoidal and contains nucleolus and chromosomes bounded by nuclear membrane. The cytoplasm contains endoplasmic reticulum. Similarly, Golgi bodies and membrane bound energy sites, the mitochondria are also present. The color of algal thallus varies in different divisions because of presence of characteristic chemical compounds called pigments. The main algal pigments are chlorophyll, carotenoids and phycobilin’s. These are used to classify algae since a particular color dominates in each division. Five different kinds of chlorophylls, a, b, c, d and c, are found in algae. These provide green color to the thalli, for example in division Chlorophyta and Charophyta. Carotenes: These are long chain, fat soluble, unsaturated hydrocarbons(C40H56). Five different kinds of carotenes have been recognized so far. These are alpha-, beta-, -e, -Y and Lycopene. These provide characteristic color to members of Bacillanophyta and Rhodophyta. Xanthophyll’s: These are yellow to brown colored oxygen containing long chain fat-soluble hydrocarbons (C40H56O). The most commonly met xanthophyll’s among algae are lutein, fucoxanthin (brown algae), and myxoxanthin (blue-green algae). These are tetrapyrrolic compounds joined to globulin proteins. They are water-soluble and provide red (red algae or blue color (blue-green algae) to the thalli. The most common phycobilin’s among algae are phycoerythrin’s r and c, and phycocyanin’s r and y.